Over the past couple weeks, I've been buried under a dense mixture of photos and work. On the photographic front, I've been focusing primarily on getting Zenfolio to work how I want, rather than putting things up on my old gallery. It seems sad to let photos languish there when I can put versions up on Zenfolio that actually have decent resolution. The main problem has been that processing the large photos has been very much a manual process: open in UFRaw, tweak, send to GIMP, tweak, scale, sharpen, export, and then back to the beginning. It was slow but worthwhile for the blog images, but completely, ridiculously unmanageable for the often 100+ I wanted to put online from events. So, as has been my wont for the past couple (time period)s, I wrote some automation to do it for me. This means I won't be fixing every slightly skewed horizon or not-quite-perfect white balance any more. On the flip side, photos will be more likely to show up in a day, and less likely to show up in three weeks. I think it's a reasonable exchange, and I can still fix egregious problems by hand. So, without further ado, here are photos from prom vault, and here are photos from September autocross, and here are photos from July autocross. They respectively go with the Prom Vault blog post, "Go. ", and "Autocross". As always, if there are photos that you wanted to see, let me know. I might have them. And don't forget that you can click an image to see larger, more detailed versions. 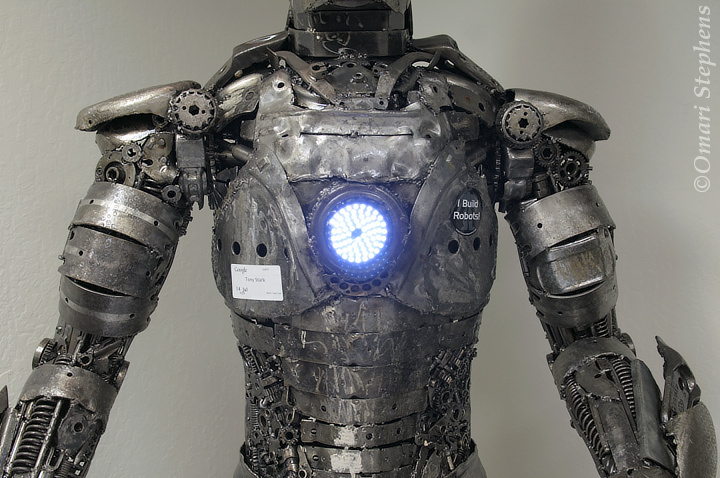 Iron Man has a lot of intricate details that are harder to see in the blog-sized image. In a another departure from the norm, it's a photo not taken by me (thanks, Adele). 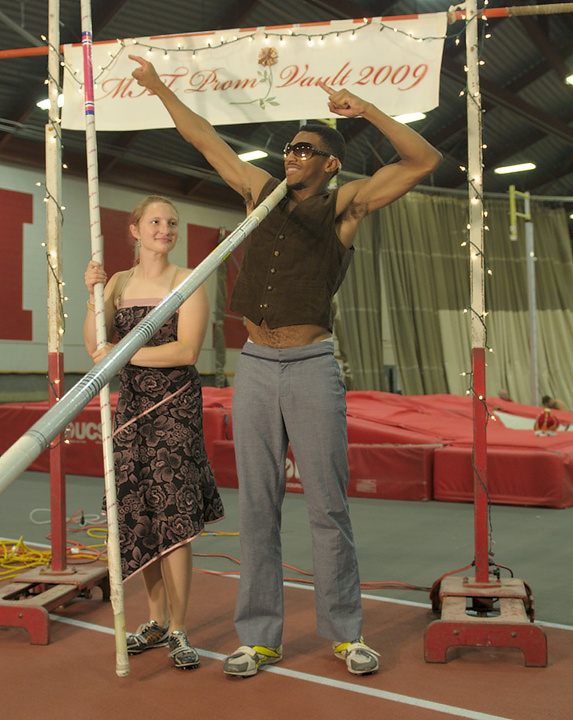 Prom vault was amazing.